Please note: This free VBS has been tried and tested in both a camp VBS and Sunday school setting. Feel free to use all or parts of the free VBS for your church, camp or school. 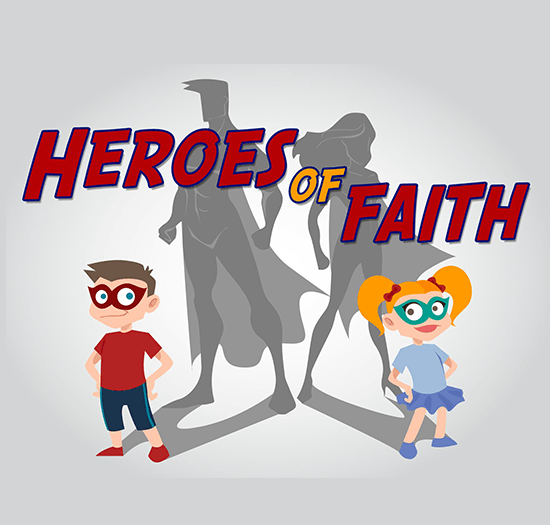 We hope that this free VBS is a blessing to you and those you minister to. 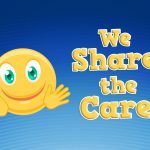 Please take a look around our website and if you would like to suggest a theme for another free VBS please get in contact with us. We would also love to see any photos or videos of how you have used this free VBS in your ministry. THEME EXPLANATION: The Mission:Possible free VBS or lesson series is all about the mission of God. 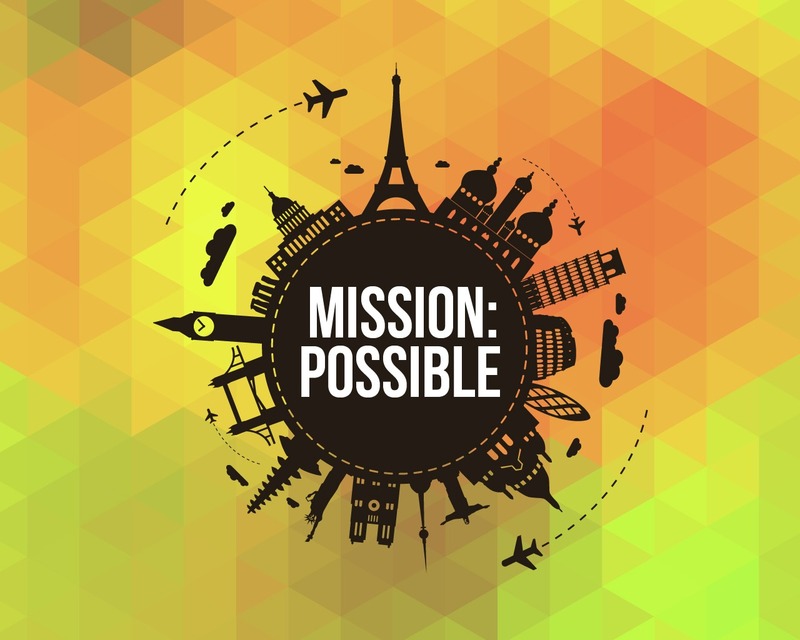 Mission:Possible is all about encouraging children to see that they can be part of God’s mission to love people and tell them all about His love. 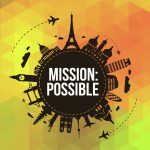 Using stories from the past and the present Mission:Possible helps your children to see the importance of making God’s mission known. The travel themed decorations help to emphasize the fact that we must tell the world all about Jesus – and that we can even travel to do that! 1. Globes. Globes come in lots of forms and sizes; large, mini, inflatable, paper. Children can even use the globes to pass around their groups when they are praying. 2. Maps. Use maps for hanging, cutting out shapes and words, using for bunting or wrapping things with. You could even buy some items (notebooks, books) that already have maps on them and use them as prizes of giveaways at the end of the week. 3. Flags. You could buy or create your own large flags to display or use world flag bunting to put around your room. 4. Suitcases. Suitcases can be used as visuals for children to remember that reaching the world often means traveling. Suitcases can be placed around the room, or you can even use them as a place for children to put their prayers or letters in. 5. Luggage tags. Giant luggage tags would work really well as decorations or simply incorporating them into your crafts. 6. Airplanes, Cars and different types of transport. Paper airplanes will look great dangling from the ceiling or you could create your own giant car if you have a stage or platform big enough! 7. Travel tickets. 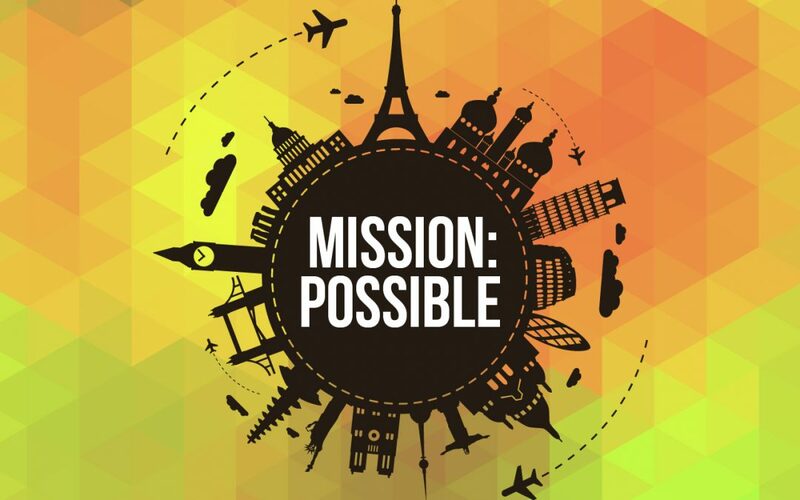 Travel tickets could be placed around a smaller room as a little reminder of the Mission:Possible theme. 9. Compasses. Compasses can be used as a reminder that the Holy Spirit helps to lead and guide us as we share the love of Christ. They also go pretty well with out travelling theme! 10. Airmail envelopes. Use airmail envelopes as little reminders that many people could only communicate using letters before we had the internet. It is a reminder of the distance we must go to tell the world about Jesus. For more snack and decoration ideas check out our Mission:Possible Pinterest Board here. 1. Decorate or create a flag. Have children creating the Christian flag, a flag for their country or their own identity flag as a way of introducing the theme as they come in. 2. Mache mini suitcases. Mini suitcases are a reminder that when God sends us somewhere there are things we may need to take with us when we go, yet there are some things that we have to leave behind. Decorating these mache mini suitcases gives you a chance to discuss these things with the children. 3. Map prayer wall. 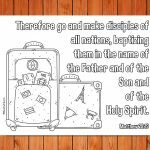 Why not encourage the children to work together to create a map prayer wall during the time of your VBS or lesson series. 1. Prayer/Travel Journals. Have children write their own prayers in journals that they have made or decorated. You could also create your own pages that the children can then write on and put in their journals. 2. Prayer Airplanes. Children write prayers on paper airplanes that they have created and then throw them together as they pray. 3. Map Prayer Wall. Put a large map on the wall and have children put little tags or stickers on the places they want to pray for. You could provide the Operation World book as a helpful tool to provide information on each country. 4. Prayer Bracelets. You can encourage the children to pray as they make a bracelet using beads and elastic. 5. Prayer Luggage Tags. 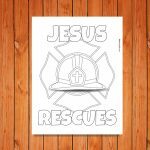 Provide luggage tags and fun colored markers for children to write or draw a prayer. 6. Prayer Globe. Do you have a cool globe that you could provide for children to pray with? What about a large inflatable globe to pray with? Or several small globes to pass around in their teams as they pray? 7. 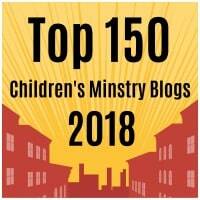 Open Doors UK have some amazing resources for children to pray for the persecuted church. You can check out and order the pack here. 1. MISSIONARY VISIT: You could have a missionary come into your free VBS and share testimonies about how God has used them to tell others about Jesus. If there are any young people or children that have taken part in a mission trip lately then that is even better – this will remind children that you are never too young to go where God asks you to go or do what he asks you to do. 2. COLLECTION FOR MISSIONS PROJECT: You could have a day (or perhaps use everyday) as an opportunity for children to give to a missions project. This will help the children see that you are never too young to give to the work of God in the world. 3. 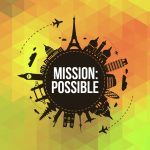 LOCAL MISSIONS PROJECT: Why not invite the children to take part in a local missions project as part of the VBS or during one of the following weeks. Involving the children and encouraging them to serve will perhaps give them a love for missions too! 4. 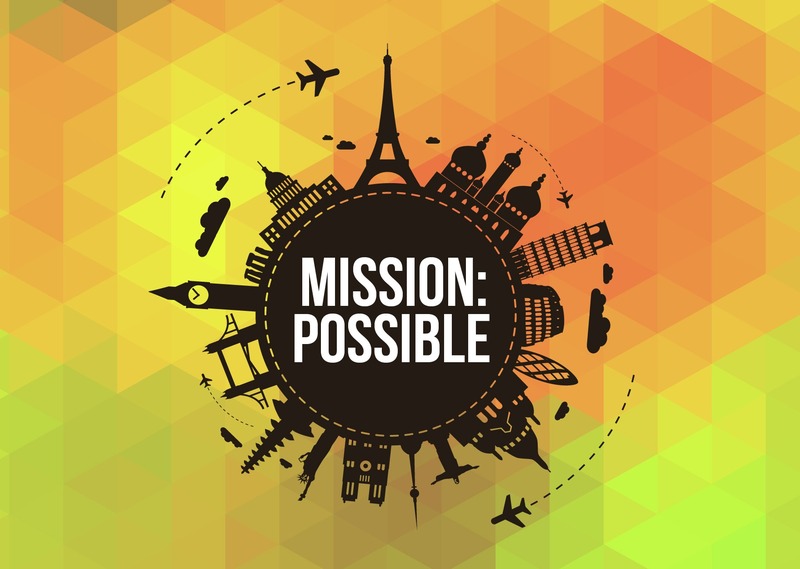 MISSION POSSIBLE CARDS: These cards present great ideas for children to be kingdom workers and may provide you with some fantastic aids for your time teaching Mission Possible! View them here.